On the night of November 4, the United States will collectively set back their clocks one hour, gaining an hour of sleep through the practice of daylight savings time. But where did the idea of daylight saving come from, and why do we still practice it today? Although it wasn’t what we think of as daylight saving, the practice of adjusting a daily schedule to daylight hours has been around for centuries. In Ancient Roman societies, water clocks were used to keep time, and could be adjusted with different weights at different times of the year. These clocks did not have standard 60-minute hours, and the length of hours varied based on the season. According to urban legend, modern daylight saving time (DST) was proposed and invented by Benjamin Franklin during the 18th century. While Franklin is known for his proverb “early to bed, and early to rise, makes a man healthy, wealthy, and wise,” it is not likely that Franklin actually invented daylight saving, given that European countries did not follow exact schedules in the 1700s. George Hudson, the inventor of daylight saving time. Public Domain image via Wikimedia Commons. In reality, it was an entomologist from New Zealand who gave the first credible proposal of DST. A shift-worker, George Hudson invented DST as a way to have more daylight after work for his bug collecting. His 1895 proposal was popular in his native New Zealand, and his proposal was followed by a more extensive paper in 1898. Thousands of miles away, William Willett was looking for a couple extra of hours to golf. 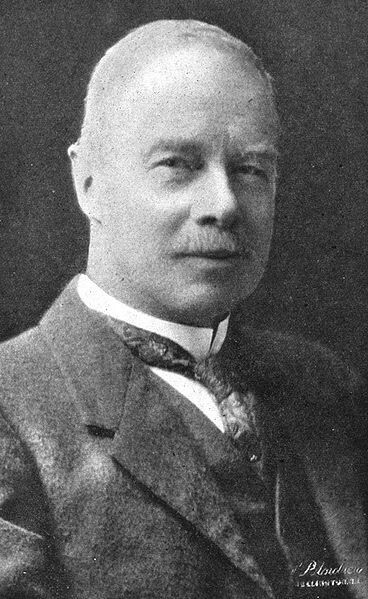 Unaware of Hudson’s paper, Willet proposed setting the clocks forward during the summer months in 1907. However, both of their proposals fell short of any mainstream popularity, and DST remained on the fringes until World War I, when it was adopted by the German Empire as a way to save coal during the war. It was later adopted by Britain and most of their allies, including the United States in 1918. So why do we have daylight saving now? Although DST is no longer helping to conserve coal, it has been shown to help conserve some energy during the winter months. By “falling backwards,” there is more daylight during normal waking hours, reducing the amount of electricity needed during winter months. Even though the policy was first instituted for the sake of energy, its main supporters were typically within the Chamber of Commerce, who believed that people might be more inclined to go out shopping and spend money if there were more daylight hours after work. As a result, daylight savings has been gradually lengthened since 2005 from only six months of the year to eight months. 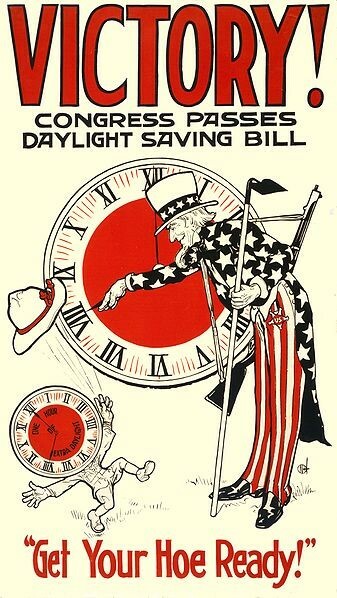 That isn’t to say that DST has been without its opponents – contrary to popular belief, the agricultural community lobbied heavily against the initial institution of daylight savings. By setting clocks forward, farmers lost an hour in the mornings for gathering milk and harvesting crops for market. The movie industry also had concerns with daylight saving, as they believed more daylight would make people less likely to go into a darkened movie theatre. A US Cigar Stores Company poster celebrating the passage of DST. Public Domain image via Wikimedia Commons. Today, despite any benefits or disadvantages of DST, the practice remains popular worldwide. Currently, seventy different countries observe daylight savings in some capacity. Although there have been some efforts to repeal daylight saving, the act of pushing the clocks forward and back will most likely remain the status quo for several years to come.